At its maximum punching power, ultimate protection and comfort, the Venum Giant 3.0 Boxing Gloves will provide you with a perfect feel during your keystrokes. Because you deserve the best, the Venum Team carefully designed, assembled and built the Giant 3.0 Boxing Gloves in Thailand. Made with 100% Nappa leather, these premium gloves keep a good hold, fight after fight. The Venum Giant 3.0 Boxing Gloves are padded by a quadruple density foam, specially designed to improve the protection of your metacarpals, phalanges, and our thumb without limiting the risk of injury. Their anatomical shape perfectly hugs the shape of your fists and helps to disperse the shock while limiting the risk of injury. The additional extra padding on top of the glove, enhances shock absorption, keeping your fist and wrist safe from repeated impact. The smooth inner-lining of the Venum Giant 3.0 Boxing Gloves ensures fast drying and moisture wicking features, for enhanced comfort and odor prevention. Finally, the wide Velcro closure system offers you a secure hold to stabilize the articulation of your wrist/hand. 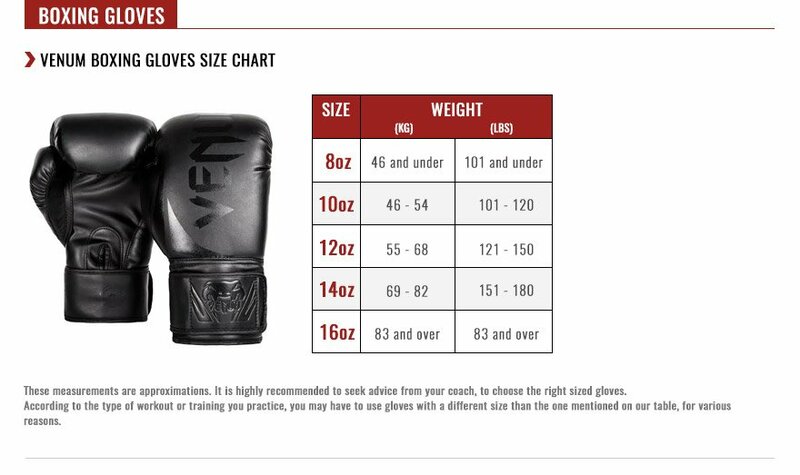 The Venum Giant 3.0 Boxing Gloves brings you their signature bold quality. You’ll be sure to strike a lasting impression.